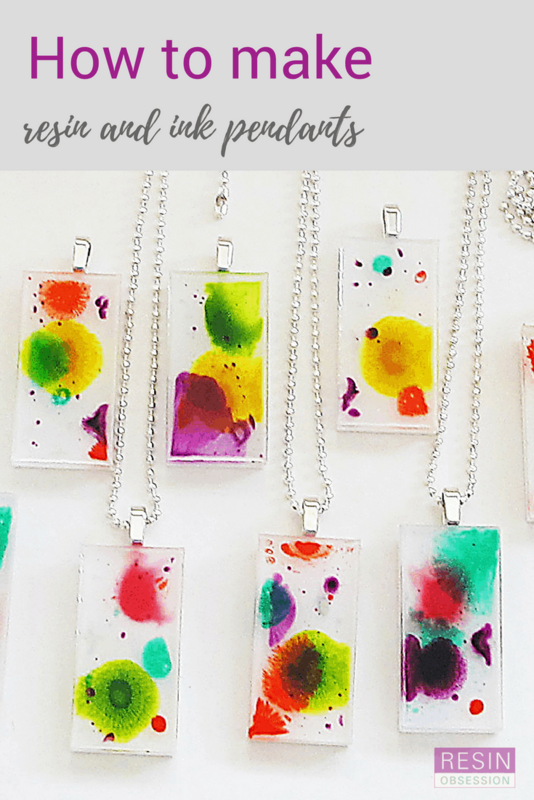 If you’ve never tried alcohol ink projects before, we’re so sorry to tell you that you’ve been missing out on something fantastic! 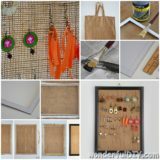 The good news, however, is that this kind of craft is extremely popular, so the supplies are stocked up just about everywhere to avoid selling out and the tutorials to help you learn not only how to use the inks but also what kinds of amazing things you can make with them are abundant! 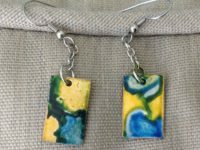 We had a blast all summer long trying our hand at different types of alcohol ink projects, but we quickly learned that one of our very favourite things to create and customize is absolutely jewelry. 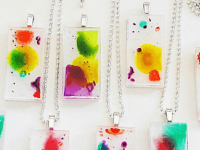 Just in case you’re as in love with the idea of creating beautifully coloured DIY jewelry pieces from alcohol inks as we were, if not more, here are 15 of the most stunning tutorials that we’ve come across in our search so far. 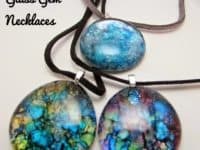 Have you ever scene clear marble style glass gems in craft stores and wondered whether people leave them plain when they wear them as pendants or customize them in some way, and how? 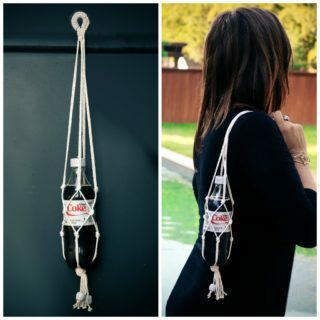 Well, this is just one of many ways of making a glass pendant your own, but it’s by far our favourite! 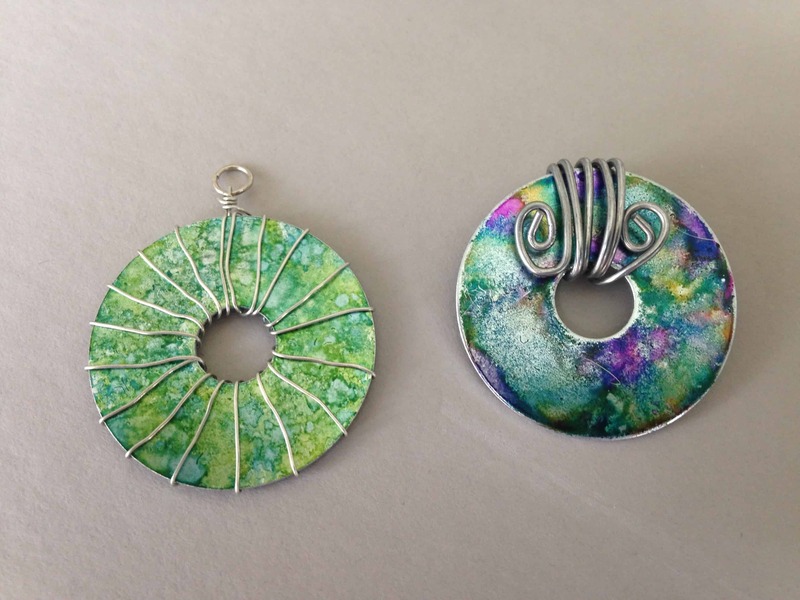 Check out how well alcohol inks can blend and mix with each other in gorgeous swirling effects on Sarah Jane’s Craft Blog. 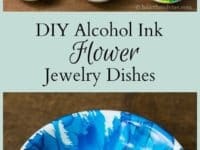 Whether you actually end up using these dishes for jewelry or whether you put them around your house as trinket bowls so that visitors to your home can see how stunningly decorative they are, we have a feeling anyone with a love for colours will get a kick out of making these customized alcohol ink bowls! 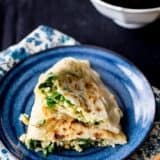 Hearth & Vine shows you how to make your own in surprisingly few steps. 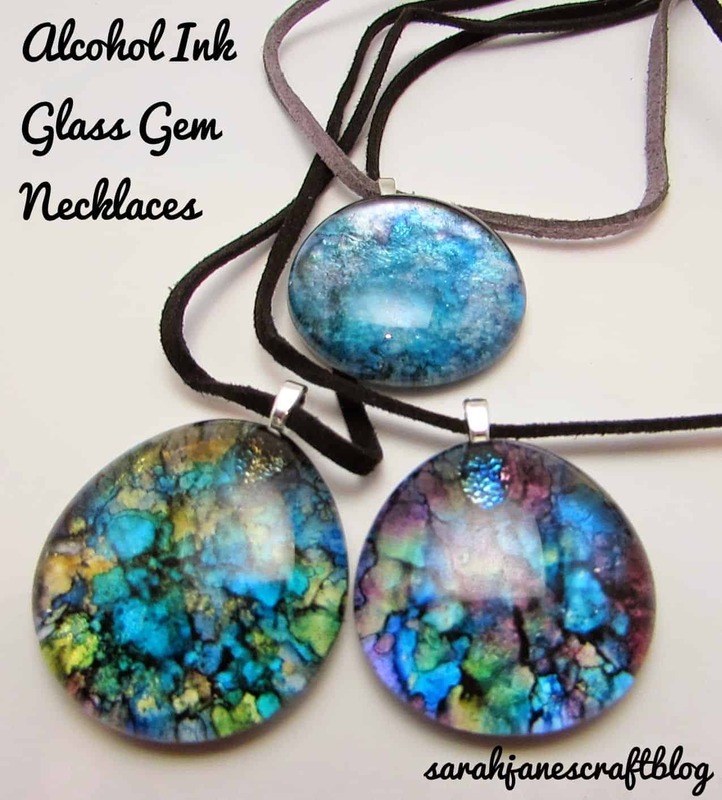 Were you pretty intrigued indeed by the idea of making glass pendants a little more interesting thanks to the colours of alcohol inks, but you’ve also always been primarily a fan of vintage inspired and old fashioned looking DIY jewelry? 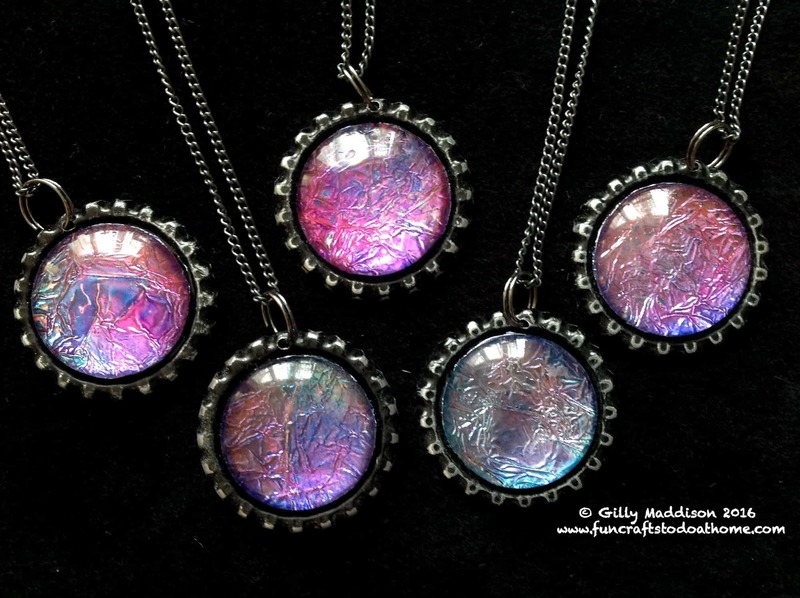 In that case, we think you’ll find yourself completely enamoured with the way Rainbow Lane used tinfoil as a base for the paints and affixed that to the back of the pendants in order to get a textured metallic effect in amongst the colours so that a combination of the two shows through to the front. 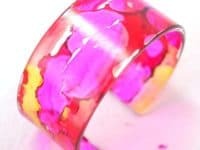 Besides the stunning colour combinations and swirling effects you can create, the real beauty of alcohol inks lies in the number of materials and surfaces they work effectively on! 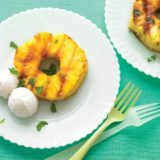 Glass isn’t, after all, your only option. 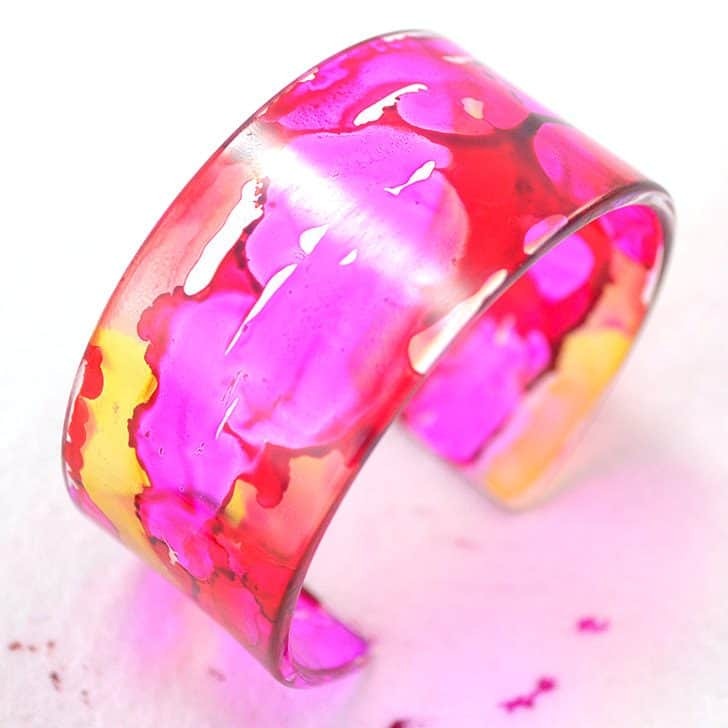 We love the way Dream a Little Bigger created a beautiful piece from an acrylic plastic bracelet, letting the colours swirl across the outside surface like a psychedelic cuff. 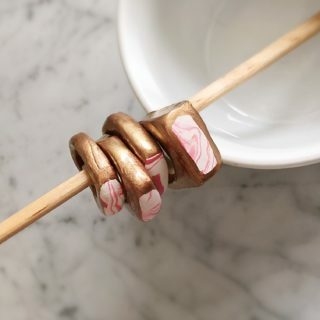 Have you actually always had more of a fondness for jewelry that’s a little bit more industrial chic inspired despite the fact that you also adore bright colours, so you often find yourself struggling to reconcile those two things in one jewelry piece? 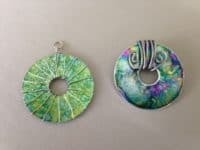 Well, we have a feeling this fantastic tutorial that teaches you how to make beautiful alcohol ink necklaces out of upcycled washers might be right up your alley! 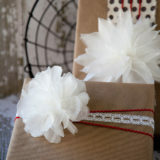 See how they’re created step by step on Sarah Jane’s Craft Blog. 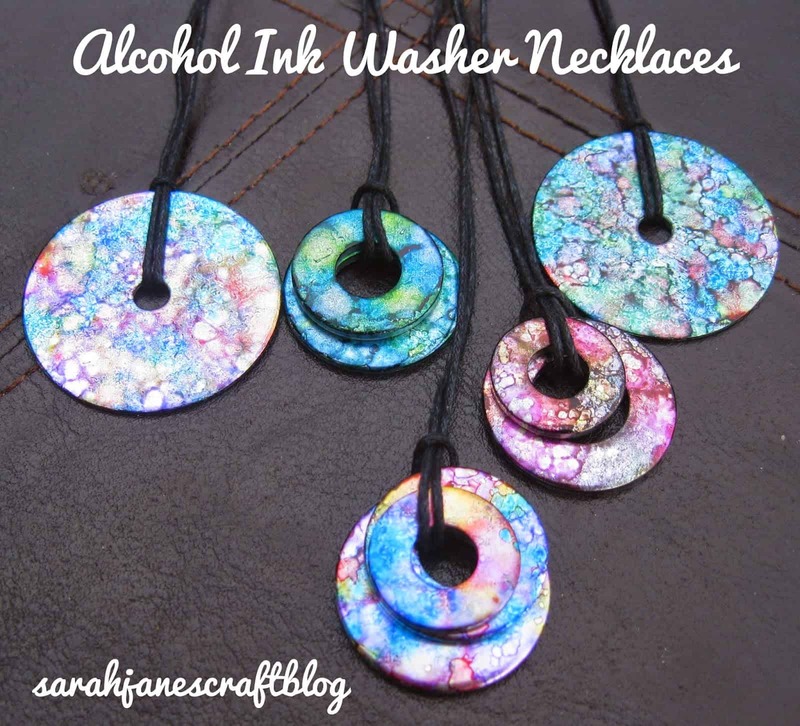 Did we actually really catch your eye with the alcohol ink washer idea we just showed you a little earlier on our list but you can’t help but feel like you’d prefer to take the idea a simple step further, since you’ve made necklaces from washers before already? 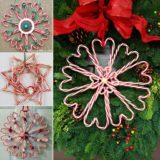 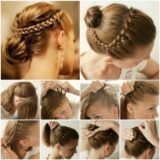 In that case, we’d definitely suggest taking a look at how Reinstonz created unique looking designs by using malleable jewelry wire to wrap and spiral pretty metallic details around and across their rain bow washers once their alcohol ink colours have dried. 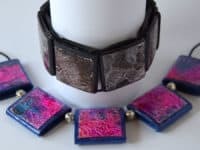 Have you actually been thinking a lot about how awesome upcycled metal jewelry is but you’re so pleased to have learned a technique that will let you add colour to the look as well that now you’re envisioning an entire set made in a similar way, right down to the earrings? 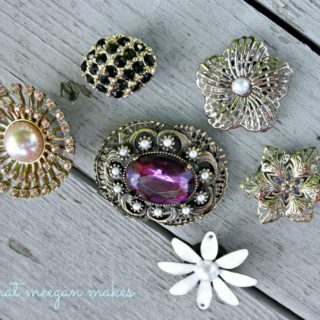 In that case, we think you simply must take a look at how Jewelry Making Journal created these metal piece earrings! 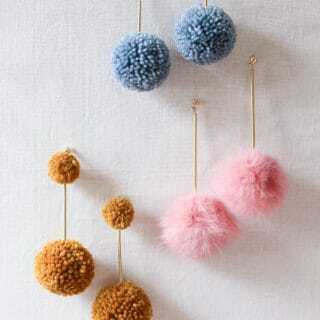 We adore the way the colours coordinate but the shapes of the swirls vary. 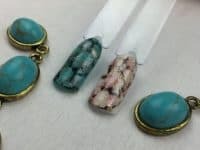 Have you always admired the beauty of authentic marble stone jewelry but you find that most store bought pieces made using it are simply priced higher than your budget allows for? Well, we’ve noticed that too, which is why we think you might be extra pleased to learn about how Dixie Girlxox created the effect themselves on affordable materials using their alcohol inks! 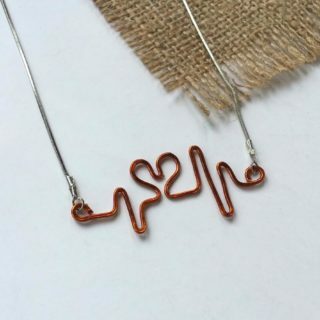 Have you been very interested indeed in the idea of creating longer shaped necklace pendants that will hang impressively but you’re not sure you’ll have time to go out and scan the options in the craft store to find one that’s just right before the event that you were actually hoping to wear the piece to? 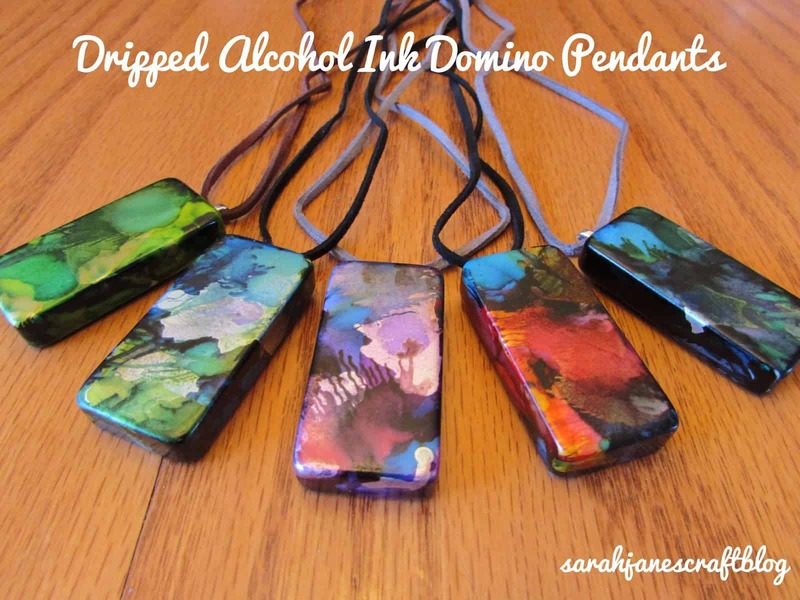 Well, if you happen to have an old game of dominoes lying around, we think you might be very interested to see how Sarah Jane’s Craft Blog transformed one into a pendant by painting over its surface and then decorating that new blank piece with alcohol inks! 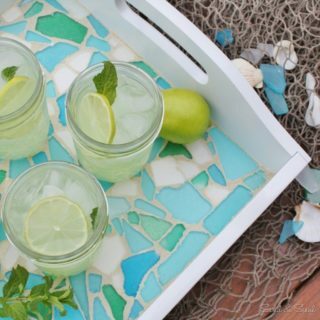 Just in case you’re still on the hunt for awesome materials and surfaces that you can also try your alcohol inks on, here’s another option for you that’s perhaps even more customizable than most of what you’ve seen so far! 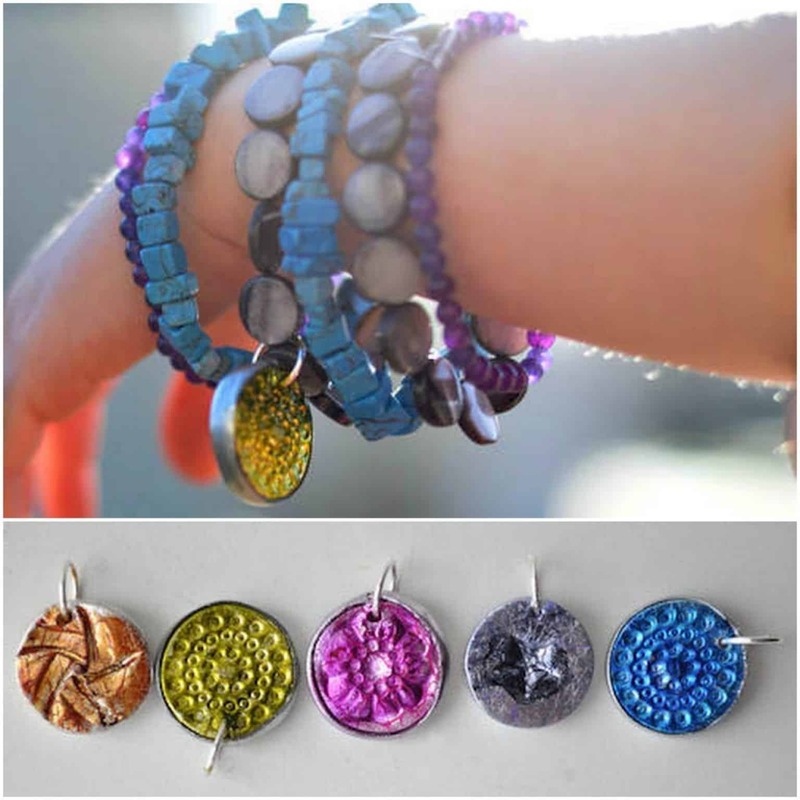 We adore the way Jerezwine made lovely bracelets with chunky polymer clay beads and then, rather than just letting the clay dry as is, decorated the beads with alcohol inks to give each one that beautiful swirling effect. 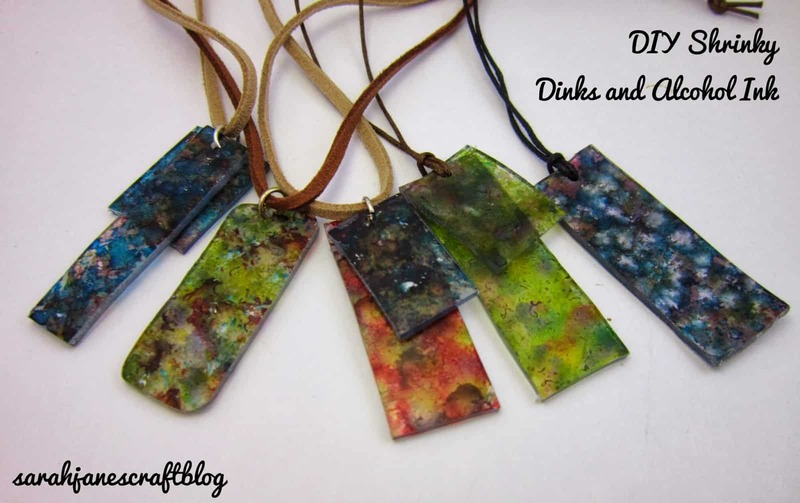 Are you still finding yourself marvelling at how much you love these rectangular pendants you’ve been seeing but you can’t help but wonder whether there’s a lighter looking way to create one, or perhaps one that will let you see the beautiful dropping and spreading effects that alcohol inks are capable of? 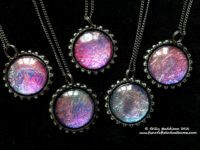 Well, we think you’ll actually be pretty pleased indeed to hear that Resin Obsession has found a way to make pretty pendants that will give you both of those things! 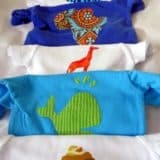 Perhaps you’ve been scrolling through our list thinking about how nice it would be if your kids could help you in some capacity with your project too? 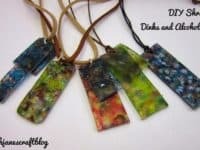 Well, we think they’ll certainly need some help or supervision during the alcohol ink process if they’re still very young but, since this awesome tutorial from Sarah Jane’s Craft Blog shows you how to make pendants from Shrinky Dinks, they’ll get a total kick out of watching what you’ve created together shrink down to the right size for wearing! 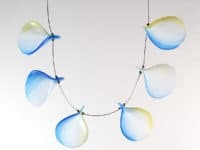 Have we got your very enamoured indeed now with the idea of making resin jewelry and alcohol ink projects as one stunning piece, all in one place, but you’ve always been more of a bracelet wearer than a necklace and pendant fan? 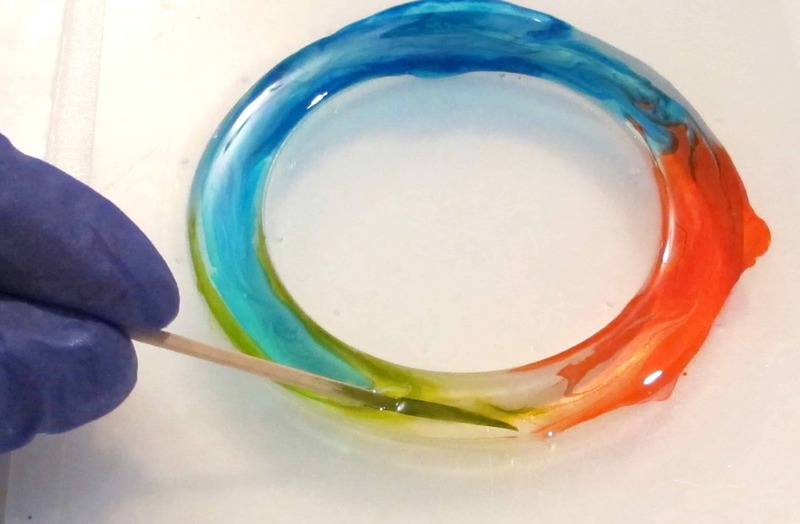 In that case, perhaps something like this alcohol ink and resin rainbow swirl bracelet outlined step by step on Resin Obsession would be a little bit more up your alley! 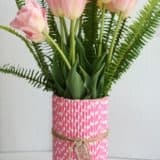 Similarly to what we said in the beginning of our post, if you’ve never made paper beads before, you simply must give them a try so you’re not missing out any longer! 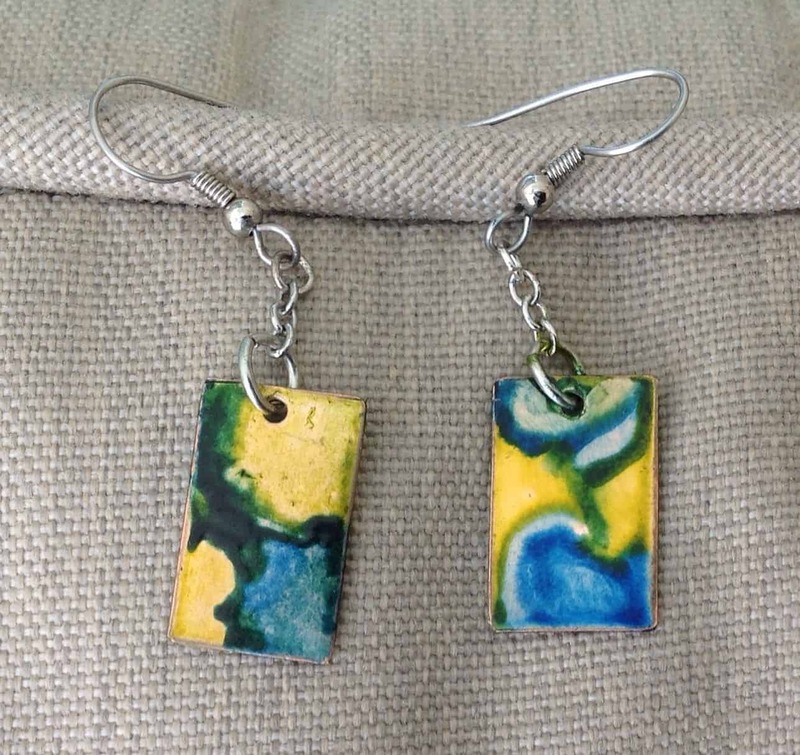 We also think you’ll be rather pleased indeed to hear that paper beads are just one more fantastic surface that alcohol inks look fantastic swirled and droppered onto. 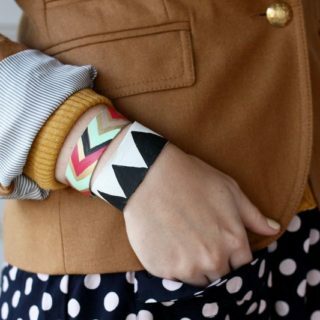 Get the full details for making something like this stunning paper bead bracelet from Fun Crafts to Do at Home. 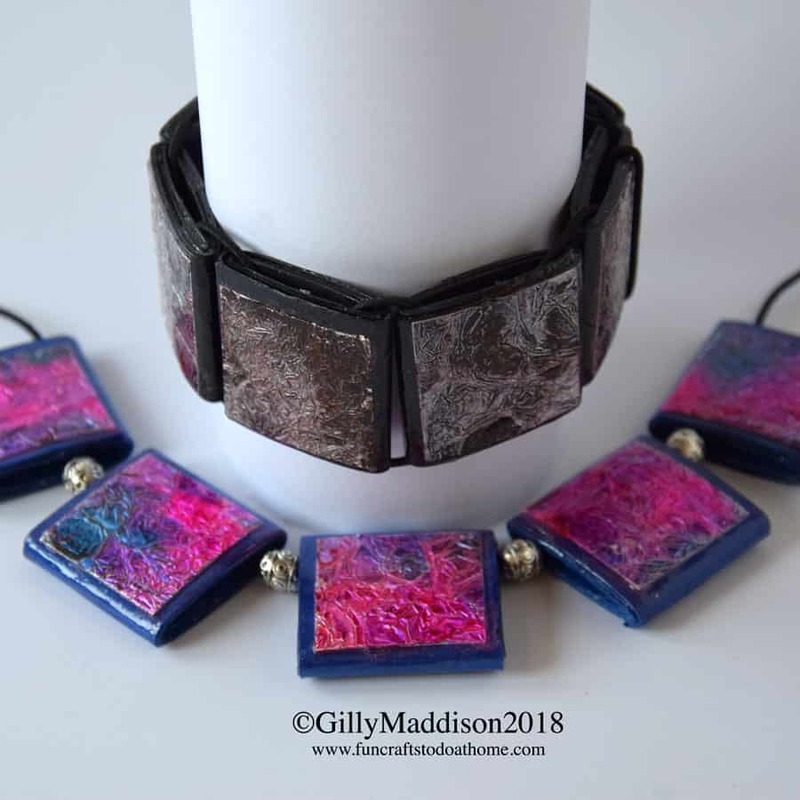 Have you been feeling interested all throughout in the idea of creating clear and alcohol ink jewelry but you much prefer working with polymer clay to resin? 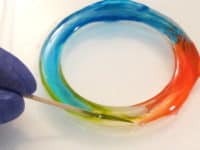 Well, believe it or not, some stores actually do sell clear polymer clay that moulds and shapes just like the material you love but dries wonderfully see-through! 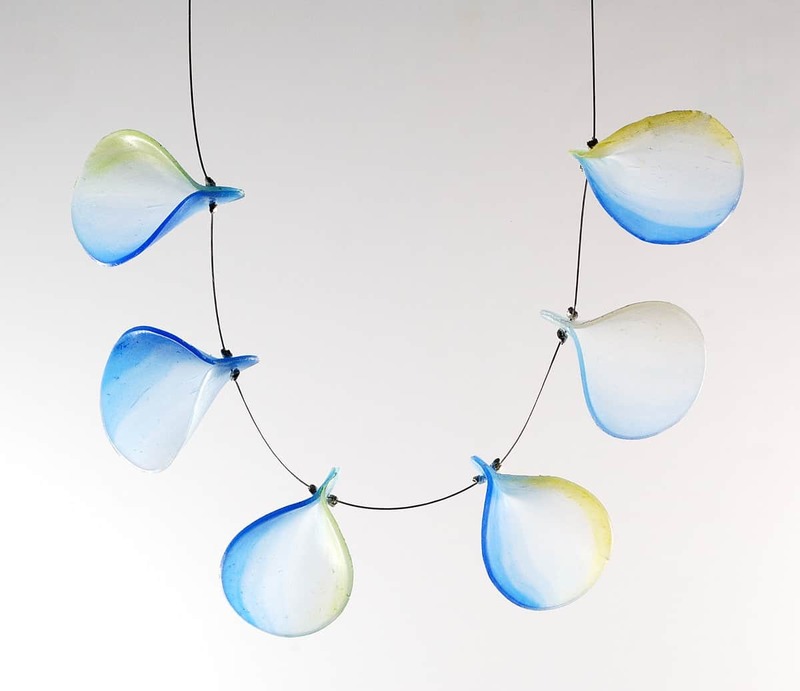 We adore the way The Blue Bottle Tree made fantastic drop shaped beads and brushed on the lightest layer of alcohol ink, just to add some brightly hued shine around the edges.